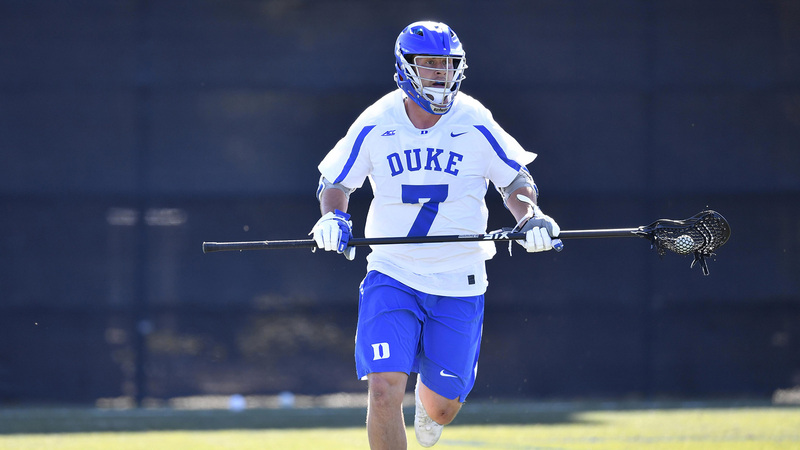 Boston, MA - (February 28, 2019) - Major League Lacrosse (MLL) takes a look into draft prospect and Duke defender, Cade Van Raaphorst. Van Raaphorst may be one of 63 players selected in the draft. Last season with the Duke Blue Devils, Cade was named USILA All-America first team, All-ACC, the top defenseman for the Blue Devils on the nation’s 12th-ranked scoring defense and he led the close defensive unit with 43 ground balls and 23 caused turnovers. At the beginning of the 2019 season, Van Raaphorst has started all five of the Blue Devils games. Van Raaphorst's 9 caused turnovers, 12 ground balls and 1 assist have greatly aided the Blue Devils early success this season. Van Raaphorst is a product of Phoenix, Arizona, where he was named the Arizona Defensive Player of the Year three straight years 2013-15 at Desert Vista. Duke University is a private research university in Durham, North Carolina. The Duke Blue Devils' men's lacrosse team was founded in 1938. The Blue Devils have competed in the NCAA tournament 22 times, and they won the National Championship in 2010, 2013 and 2014. Their current coach is John Danowski. Preseason active rosters in Major League Lacrosse feature Blue Devils such as CJ Costabile (Chesapeake Bayhawks), Danny Fowler (Dallas Rattlers) and Thomas Zenker (New York Lizards). Will Cade Van Raaphorst follow these Blue Devils into the ranks of Major League Lacrosse? Tune into Lax Sports Network on March 9 at 7pm to see if Cade Van Raaphorst will be one of the 63 players to be drafted in the 2019 MLL Draft presented by Cascade.